Successful leaders are self-reflective and self-aware. They understand the distinctions between management and leadership and are conscious of the impacts of their own behavior. This session will explore these concepts as well as other core leadership competencies such as courage, vulnerability, trust, values and ethics, your role in the organization, and who you are as a leader. All of these are essential to being a strong and effective leader. Trust - it is the key currency for 21st century leaders. Without trust, nothing worthwhile can get accomplished. Courage and vulnerability - courage is the ability to act in the case of fear and vulnerability is the critical link for relationships and connectedness with others. Risk taking - good leaders understand taking calculated risks is necessary to move the organization forward. Critical thinking - includes problem solving, analysis, creative thinking, interpretation, evaluation and reasoning. Values and ethics- when we understand our values and how they influence our choices and decisions, we are more capable of living a life aligned with our values - creating a more authentic life. Emotional intelligence - understanding ourselves and others and learning to control our emotions as well as respond accordingly to others. Learning to identify our own feelings, emotions and triggers, how to discriminate among them, and using that information to inform our thinking and behavior. We will leave with a renewed sense of purpose and greater awareness of who we are as human beings and leaders, and what we are truly capable of doing to affect change in our personal and professional lives. Pamela Miller currently serves as California Institute Director for the Master Municipal Clerk Academy, and as such she is the Professor of Record at the University of California Riverside. She began her own consulting firm, Miller Management & Consulting Group in 2014, which focuses on training and capacity building of current and emerging leaders in local government. Her clients include state-level associations, local governments including counties, cities, special districts and LAFCos, and international associations. She is also the former Program Director, Executive Director and Institute Director for Continuing Education for Public Officials (CEPO). Pamela also currently serves as the Executive Director for the California Association of Local Agency Formation Commissions (CALAFCO), where she has been since 2012. Prior to returning to California in 2012, Pamela lived and worked in Benton Harbor, Michigan for six years. As Vice President for The Consortium for Community Development, her work focused primarily on the transformation of the community through individual, organizational, and community capacity building. 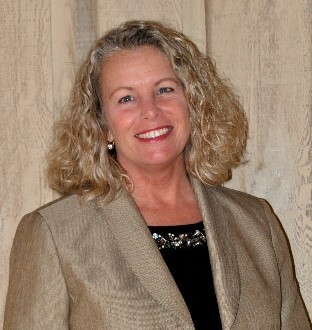 Her prior public sector experience includes serving as Clerk of the Board of Supervisors and Administrative Manager for the County Executive Office for Napa County, as Deputy City Clerk for the City of Vallejo and as a consulting analyst to the Contra Costa County Flood Control District’s clean water program. In addition to her public sector experience, she has over 30 years of private sector management and customer care experience, including project management and strategic planning for telecommunications, internet, and employment services companies. Pamela earned a Master's Degree in Organizational Leadership and a Bachelor’s Degree in Business Administration from Siena Heights University. She is certified in Total Quality Management, is a graduate of the National Community Development Institute’s Community Builders Leadership Institute, and is a Certified Municipal Clerk.